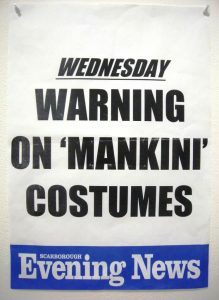 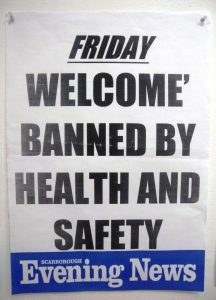 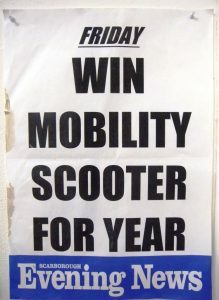 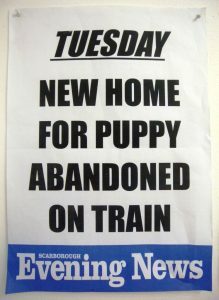 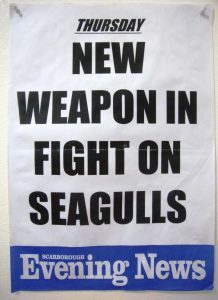 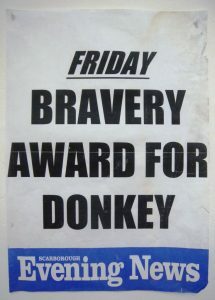 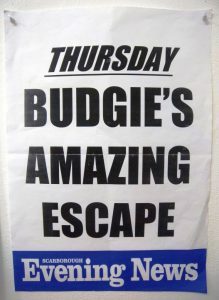 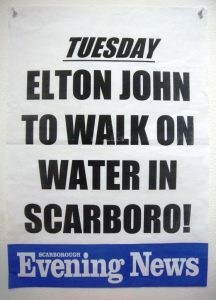 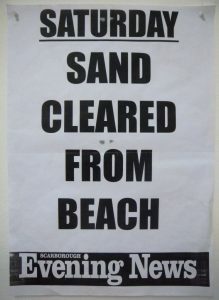 Over a period of time living in Scarborough I regularly collected the News Posters from the Scarborough Evening News, I was captivated by the short headline grabbing sentences that conjured up all sorts of images in my head, I put together an exhibition of these in Crescent Arts in Scarborough. 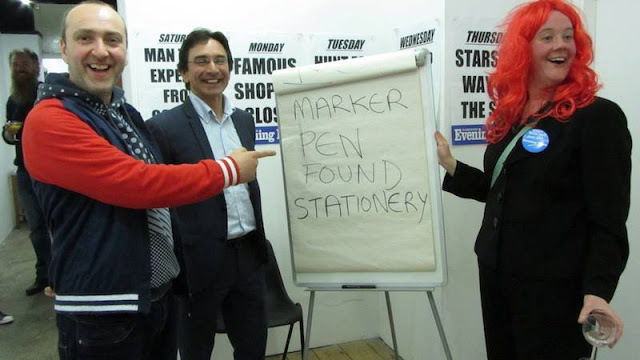 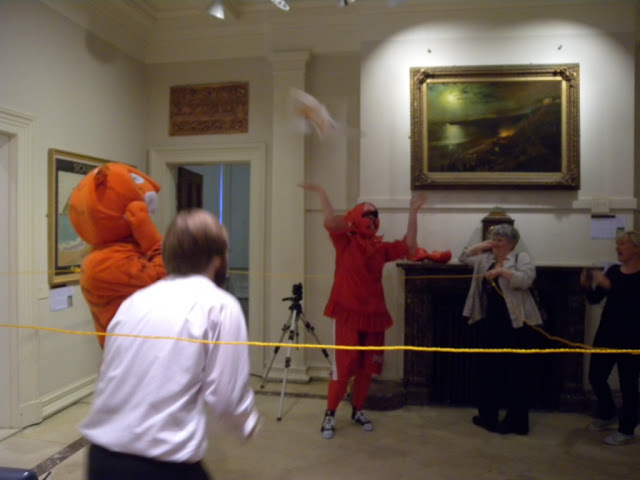 During the exhibition we also had a performance piece for Museums at Night, a boxing match between the Art Gallery and Crescent Arts. 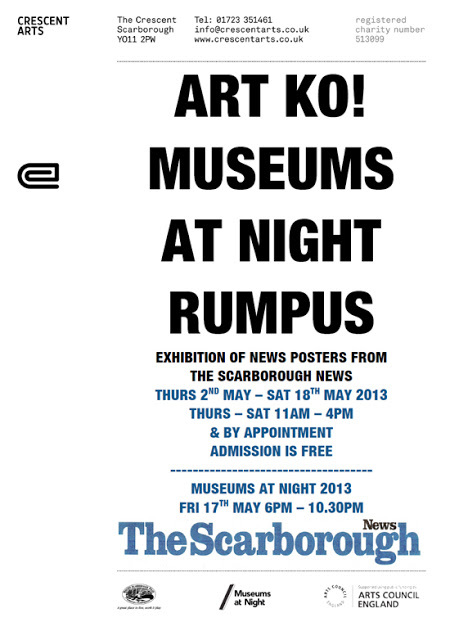 The former is a council run Art Gallery filled with classical works of art and collections encompassing paintings by the like of Atkinson Grimshaw. 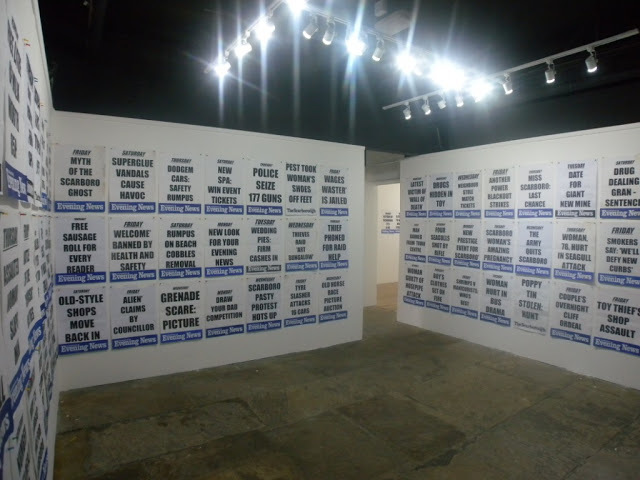 Crescent Arts is in the basement and is an Arts Council funded gallery and studios full of contemporary artists.